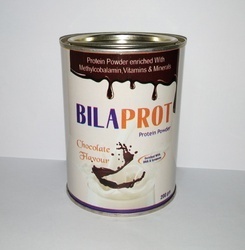 Our company is the foremost in offering Vestige Protein Powder. Protein Powder is a low fat soy and milk protein food supplement that provides the body with all the essential amino acids. It is a soluble, easy to digest protein powder and is quickly absorbed into the body. It contains bioactive isoflavones which help regulate blood cholesterol and boost immunity. It is a good effective face clenzer that helps in dry skin without skin.